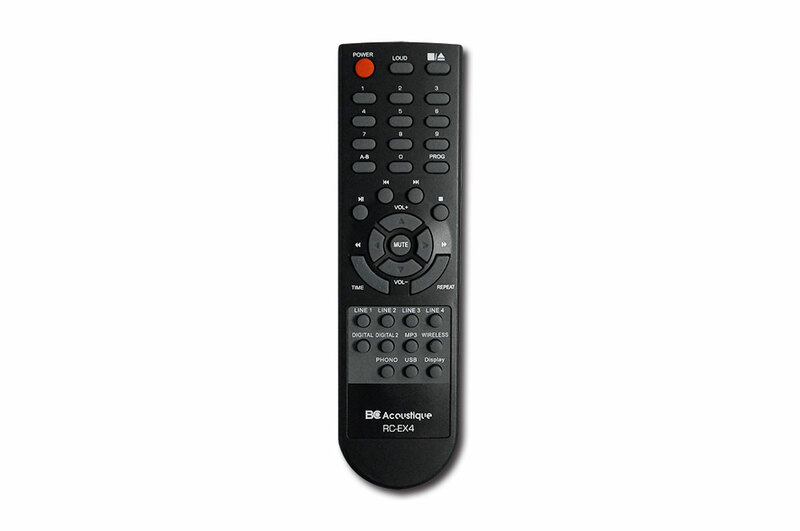 BC Acoustique Official Website - Your Hi-Fi specialist since 1993! 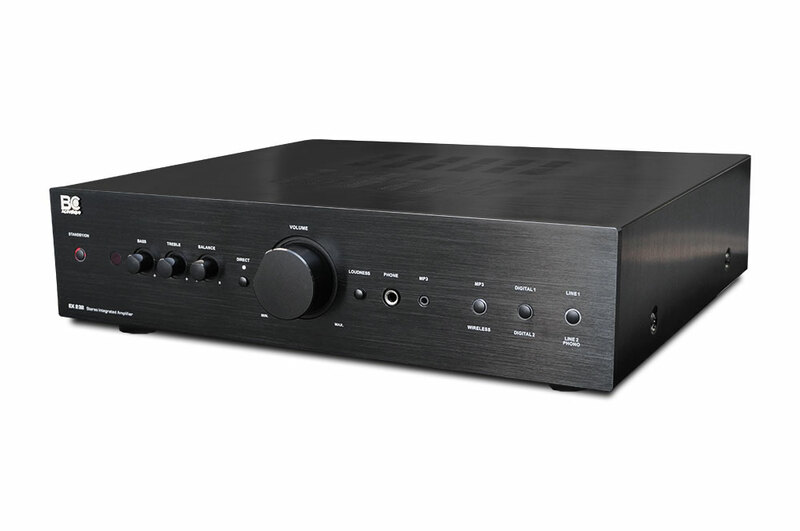 The EX-232 delivers 2x75W RMS of power. 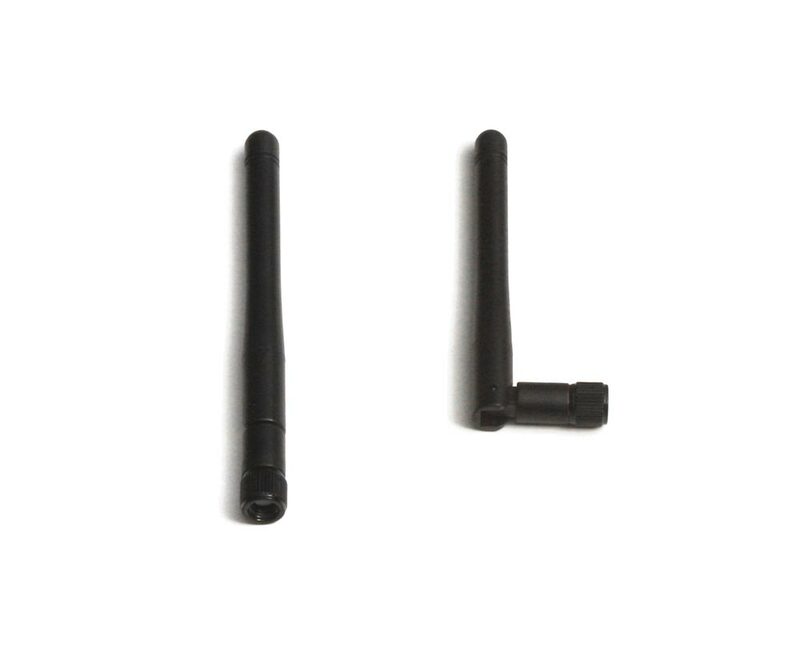 It includes a Wireless connexion. 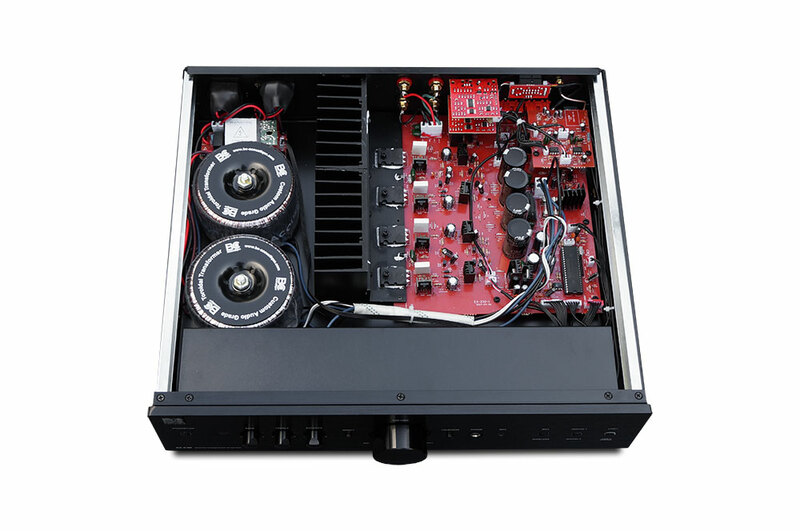 This amplifier EX-232 was designed in an audiophile approach to ensure the high fidelity amater a faithful reproduction of his favourite music. It delivers 2x75W RMS into 8Ω. It includes a WIRELESS interface, allowing you to play music from your Smartphones. 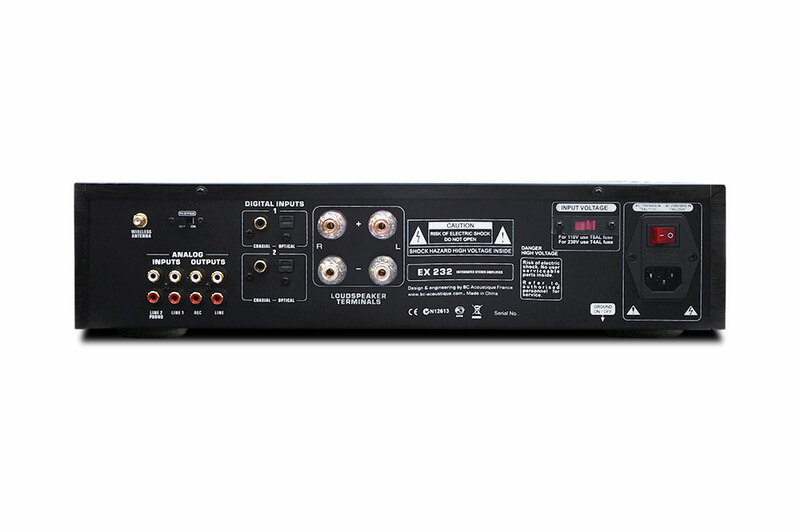 The EX-232 comes with 4 unbalanced audio inputs including a 3,5 mini jack MP3 input, one digital input (coaxial and/or optical) allowing connection to latest generation TV sets. Finally, it provides a « pre-out » to perform bi-amplification. - Stage power generously dimensioned consequences: ability to drive any kind of speakers (8, 4, 2 Ohms). 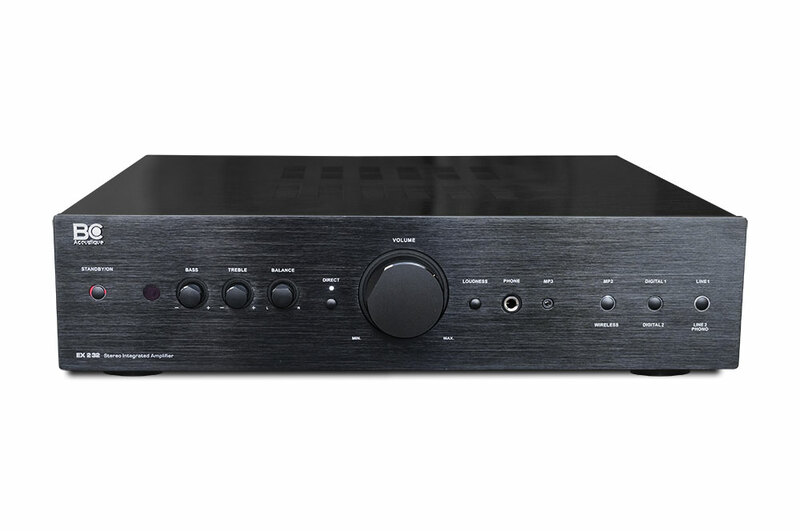 DAC: The S/PDIF input is interfaced to a Cirrus Logic CS8416 chip and analog digital conversion is supported by a PCM1973 circuit from the same manufacturer. Maximum sampling is 24 bits at 96 kHz on the coaxial and optical inputs. Digital Inputs: The OPTICAL connector will override the source connected to COAXIAL, unless the source connected to the optical connector is turned off. 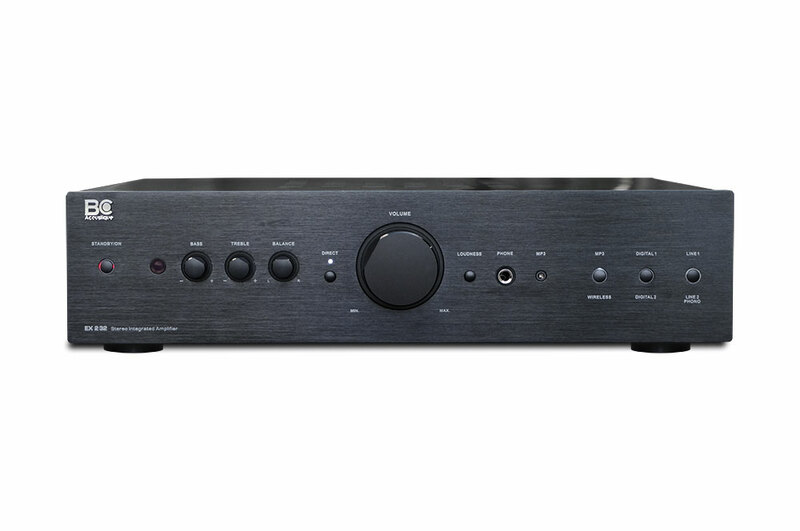 In this case, you can listen to the source connected in coaxial.